Buyer Beware– Are You Dealing With an Owner or a Broker? In today’s market, meeting producers are challenged to find creative ways to stage the best show possible while stretching the budget. It’s a well known expression in the event industry that “you’re only as good as your last show,” and when bidding for audiovisual services, producers strive to work with a trusted supplier that offers peace of mind. With so many new players in the market vying to win the business, it can be difficult to sort through what differentiates one from another, but there are ways to clarify exactly what you are buying. When choosing your audiovisual supplier, it’s very important to understand that there are different types of providers in the marketplace –owners and brokers. An owner is a company that invests in buying and housing audiovisual equipment, and takes responsibility for quality control, maintenance, and repair of that inventory. A broker is a supplier that cross rents gear for clients through a third party vendor, or multiple vendors, and does not incur the overhead involved in owning the gear. There are pros and cons to each business model, but producers should be aware of which type of firm they are dealing with to support their event, in order to set expectations and understand the risks. Anyone today can market themselves to appear as a large company that works on big shows and has loads of gear at their disposal, when in fact it could just be a guy working out of his house. A common trend occurring in the industry today is the emergence of small brokers that rely on cross renting equipment from large wholesalers and simply mark up the price, offering highly reduced rates due to a lack of overhead and in house staff.Producers can become swayed by attractive prices and pretty pictures on websites, especially in this budget-conscious economy, without realizing the implications of what they are buying. These discounted bids may seem appealing, but can come at a serious cost to your event. As every producer knows, events are usually in flux, and equipment changes and add-ons occur onsite, as well as failures, and can happen at any time – nights, weekends, or in the middle of the show. In handling these situations, an equipment broker has to rely on the mercy of a third party to provide additional support or equipment, without control over the availability of stock or staff to assist with your needs in that emergency timeframe. Furthermore, since a broker doesn’t own, manage or quality control the inventory, they may not even see the gear until load-in for the event. On the other hand, an equipment owner has control over their gear, and a responsible supplier that invests in technology, as well as the warehouse and staff to handle and house it, will most likely take good care of their assets. An owner may still cross rent gear to supplement their own inventory, but an owner will have a technical crew in place and office location to be able to QC and prep any outsourced gear that goes onto a show in advance. Also, when that emergency issue arises in that critical moment, an owner typically has a support structure in place to provide the needed resources. A supplier that owns equipment must have a team in place to maintain and repair gear, handle the logistics of allocating resources to different events, as well as transporting that gear to where it needs to go. There’s a lot involved to guarantee the integrity of what is sent out the door, and a producer needs to decide if they are willing to take the risk of dealing with a company that doesn’t directly oversee the team responsible for that process. A smart buyer should educate themselves on the internal capabilities of the supplier. Ask direct questions during the bidding process, such as:Do you own the gear required for the event, or do you have to cross rent? What is the support structure in place to deal with equipment needs onsite and during off hours? Another way to gauge the abilities of the potential supplier is to ask about the total number of full time staff, and the size of their facilities, or even better, request a visit to tour the operation. If a qualified supplier is not open to a client touring their facility, this would be a major red flag, especially if they are making claims that would indicate they have an office and inventory. In the end, a meeting producer needs to decide what really matters to them, and how much risk they are willing to take with their event. Whether dealing with a broker or owner, a producer should understand that audiovisual equipment and labor are not a commodity driven strictly by price, and there is a real value associated with receiving quality equipment and support. After all, no one is going to boast about how much money was saved on the equipment if something goes wrong. Furthermore, should an issue arise and something goes awry with the equipment on the event, producers are then challenged to maintain and rebuild that trust in the relationship with their end client. Ask yourself if that’s a gamble worth taking, or would you rather have the peace of mind that the equipment provider has invested in the product, knowledgeable staff and service to back it up, and has a plan to protect their client’s interests when the show is on the line. Choose wisely. 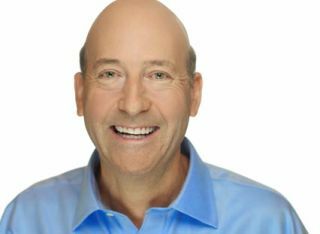 Les Goldberg is CEO of LMG, one of the world’s top AV staging companies.